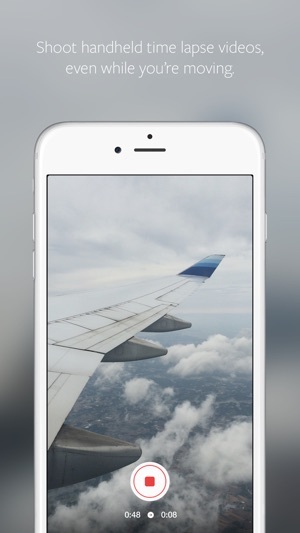 Create amazing time lapse videos with Hyperlapse. 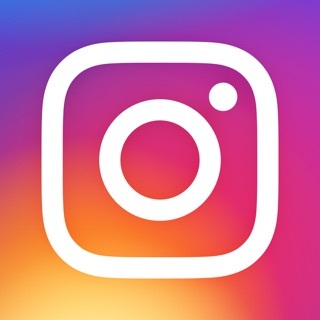 Using Instagram's in-house stabilisation, Hyperlapse shoots polished time lapse videos that were previously impossible without bulky tripods and expensive equipment. When you shoot a time lapse video with Hyperlapse, your footage will be instantly stabilised to smooth out the bumps from the road and give it a cinematic feeling. Capture an entire sunrise in 10 seconds – even from the back of a moving motorcycle. Walk through the crowds at an all-day music festival, then distil it into a 30-second spot. Capture your bumpy trail run and share your 5k in 5 seconds. •Shoot handheld time lapse videos in motion – while you're walking, running, jumping or falling. •Smooth out your video for cinematic quality with automatic stabilisation. 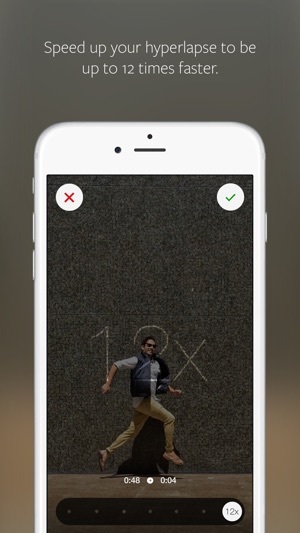 •Speed up your hyperlapse to be up to 12 times the speed. 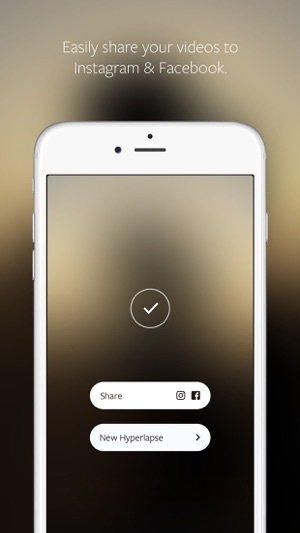 •Share your videos seamlessly on Instagram or save them to your camera roll to share anywhere, at any time. •Start filming immediately with a simple design that doesn't get in the way of your creativity. 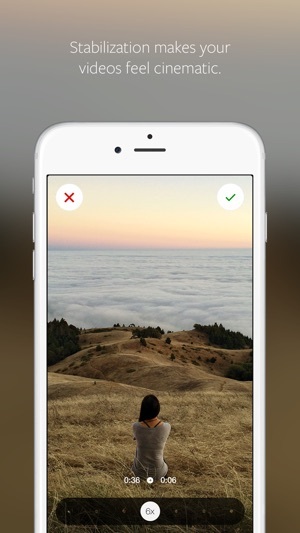 •Download and start capturing. No sign-up or account required.